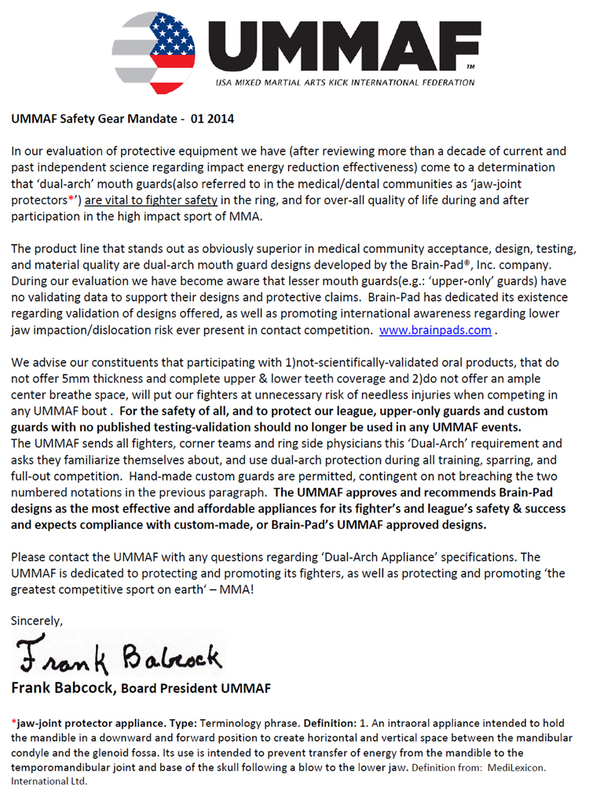 Brain-Pad Jaw-Joint Protector(TM) – In Action ! A BIG Right-Hand gets through . . . Direct shot to Jaw. Brain-Pad does its job. 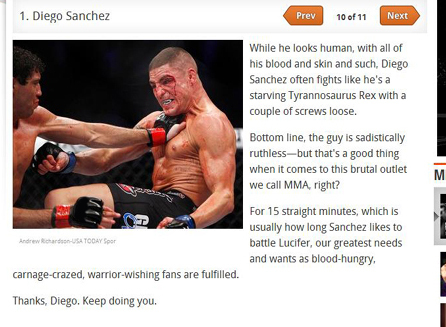 The ‘sweat cloud’ knocked from this fighter’s head shows the impact’s force on the front of the jaw. 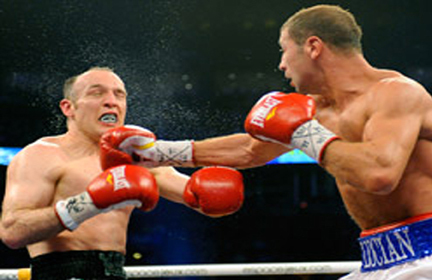 Most important to notice is that the jaw remains in its naturally correct position even as this tremendous right-hand lands square across the chin & jaw. The same concept holds true when wearing the best football helmet available. This is because the helmet is secured to the Head by the Chin-Cup. So ‘ play after play ‘, impacts to the front and sides of any helmet are delivered to the Chin-Cup / Jaw / TMJ sockets / and into the Base o the Skull ! 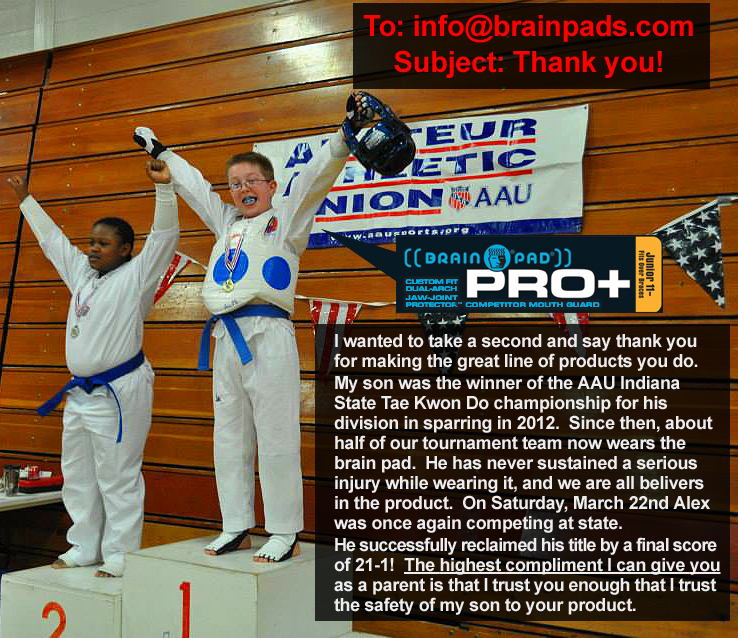 Brain-Pad is for all contact sports !